Following the announcement of its new Season, Coke Studio releases the first episode of Season 7, featuring “Sab Aakho Ali Ali” by Asrar, “Tum Naraaz Ho” by Sajjad Ali, “Lai Beqadaran Naal Yaari” by The Niazi Brothers and “Mein Sufi Hoon” by Ustad Raees Khan & Abida Parveen. This episode of Coke Studio Season 7 will air on 21st September across all leading broadcast networks nationwide. Asrar makes his debut on Coke Studio in the first episode with “Sab Aakho Ali Ali”. The song’s composition rooted in folk when brought onto the Western style of music takes on a bluesy groove. The song overall comes out being effortlessly vintage cool positioned in a time capsule for what the blues steeped genre of rock n roll used to be. Lyrically inspired by the verse “aaj nai te kal sub Ali Ali kehn ge” from the qawwali Dam Mast Qalnadar, the song is in honour and celebration of Hazrat Ali (SWT). The Coke Studio composition aims to take Asrar’s rendition of a Sufi Kalaam to the next level by infusing groove, harmonies and high pitched backing vocals. 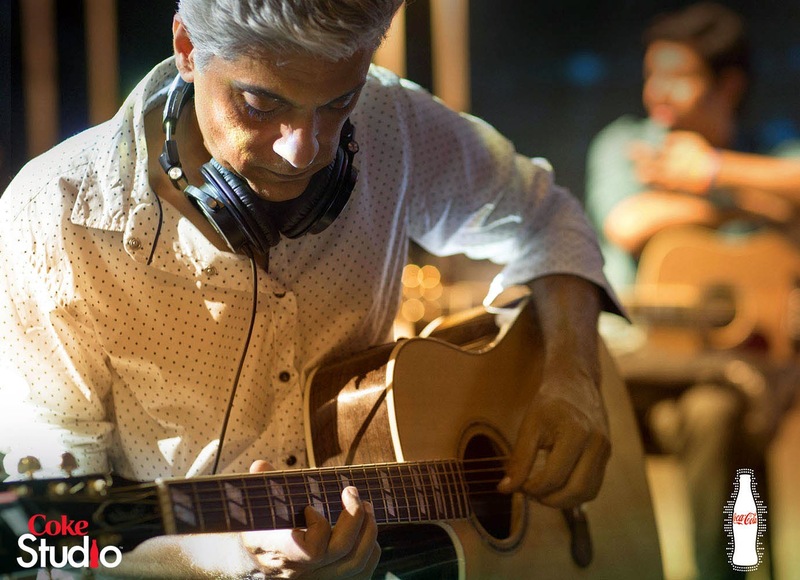 Also making his debut on Coke Studio as a guest musician is the legendary guitarist Aamir Zaki. Zaki alternates between moods and textures in spellbinding solos that add tenderness to Asrar’s unique and raw voice. Sajjad makes his return to the Coke Studio platform with “Tum Naraaz Ho” from his album entitled ‘Love Letters’. The Coke Studio composition has transformed Sajjad Ali’s soft pop ballad into a candlelit rock ballad with monochromatic piano lines. Sajjad through his vocal delivery and heartwarming lyrics has painted the ballad in soft, more mature shadings that comes out as pained but the effect is both beautiful and comforting. The song is one that is personal to Sajjad, as it encapsulates the stomach fluttering poignancy detailed in emotional desire. Lyrically the song is more oriented to clear narratives and realistic images that capture the intense yearning of a lover. Throughout the composition there are spare, open moments of longing vocals over solitary string sections. The eastern influence of the flute and dhol brings the underlying melancholy to the song, evoking a sense of nostalgia. Celebrated Faraz Anwar returns with an exemplary solo that builds in intensity as it progresses. The short and sharp shockwave sees Anwar’s fretwork at its finest adding dramatic rock oomph to the mellow and warm song. Coke Studio’s “Lai Beqadaran Naal Yaari” also marks Niazi Brothers debut on the show. The platform pays tribute to the song as the first ever song to be aired on PTV in 1964. Revered as a quintessentially Punjabi number in terms of melodic arrangement, the Coke Studio composition translates the song as a melting pot of musical ideas bringing to the mix Desert Blues and Afro-Cuban rhythms. The song manifests itself into a high power experience, full of life and movement bursting with gradual shifting textures. Tanveer Tafu’s earthy tones on the mandolin, deliver the depth of the composition whilst the eastern instrumentation keeps intact the folk richness. The Afro-Cuban overtones provide a glimpse into another world bringing the festive atmosphere to the forefront. While the lyrics are deep, the lover’s indignation is masked in the blend of magnetic tones. The song reflects on the lovers cost of giving his heart to a sneering beloved. It represents, that true love cannot be sustained if there is no respect for the love or the individual. The lyrics warn of staying away from such people, who flippantly discard love. 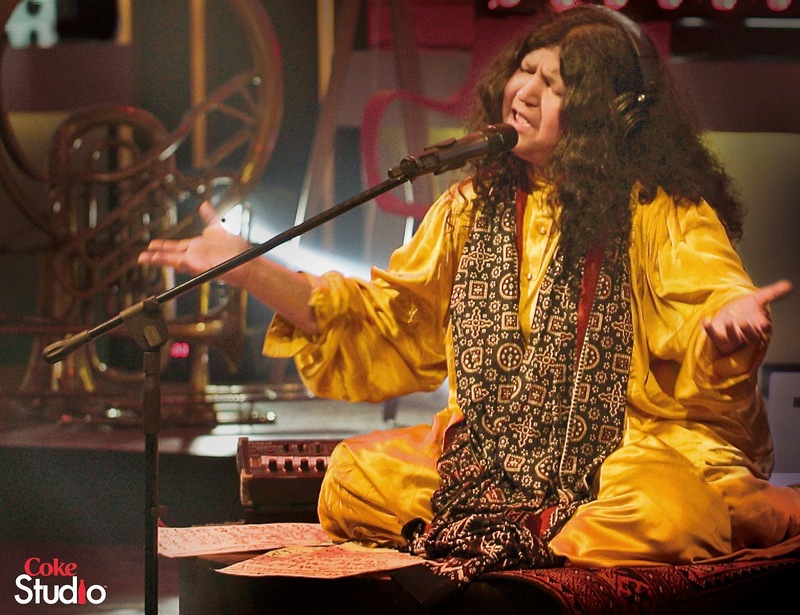 Coke Studio brings together for the very first time the renowned sitar player of the subcontinent, Ustad Raees Khan and the powerful vocals of Abida Parveen in a trance inducing number “Mein Sufi Hoon”. The composition unfolds as a journey by starting slow and relatively demure but gathering in speed and intensity. Ustad Raees Khan’s solo transports one into a hypnotic realm that complements the reflective lyrical content of the song. The song celebrates the worldview of the Sufi, whose path cannot be known nor understood by the ordinary man. Amongst the thematic elements, the song talks about the search for knowledge and letting go of worldly pleasures in the pursuit of enlightenment. It represents an awakening when the ‘Divine Beloved’ is found alongside the contrasting shades of the trappings of the world. The minimalist composition of the house band induces a dreamlike state allowing the maestros to channel and create a musical voyage that explores the quest for spiritual wisdom. Episode One of Coke Studio’s Seventh chapter in its journey will be aired on all major television channels, radio stations and available online across Pakistan. The airing schedule for the first episode can be viewed at: http://cokestudio.com.pk/season7/schedule. In the meantime, keep yourself logged on to www.cokestudio.com.pk for the latest updates on Coke Studio (#CokeStudio7).